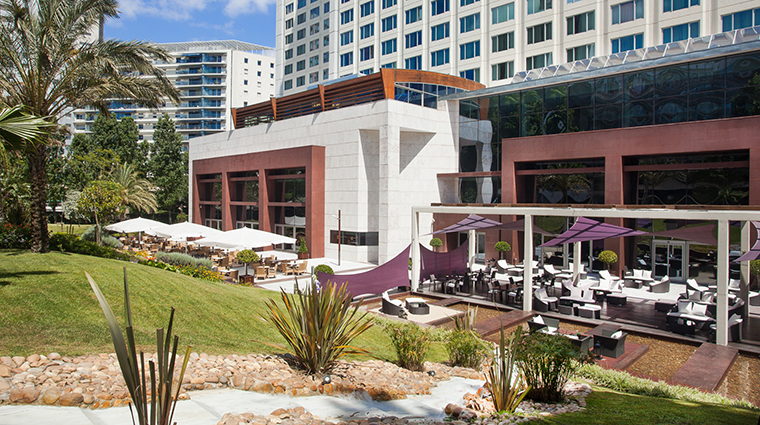 Perched on a hill overlooking the city, Corinthia Hotel Lisbon is a bit removed from the action. But its location also makes it a tranquil place to stay in Lisbon. Relish in the solitude by gazing at views of the 18th-century Aguas Livres Aqueduct and Eduardo VII Park from the upper floors of the hotel. 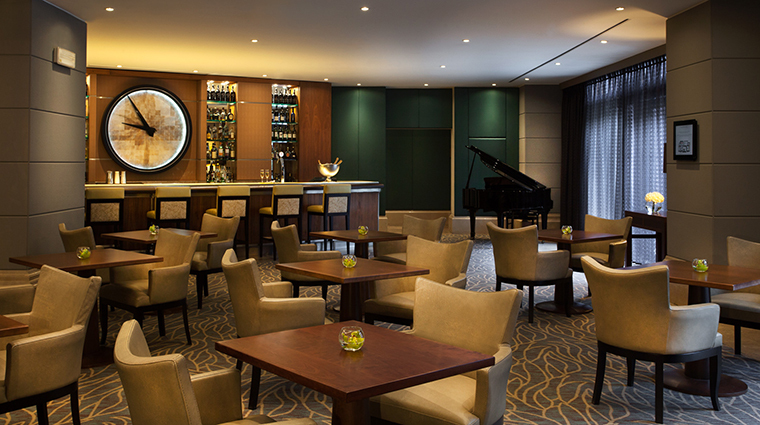 Though it’s also in the financial district, making it a convenient base for business travelers as well. 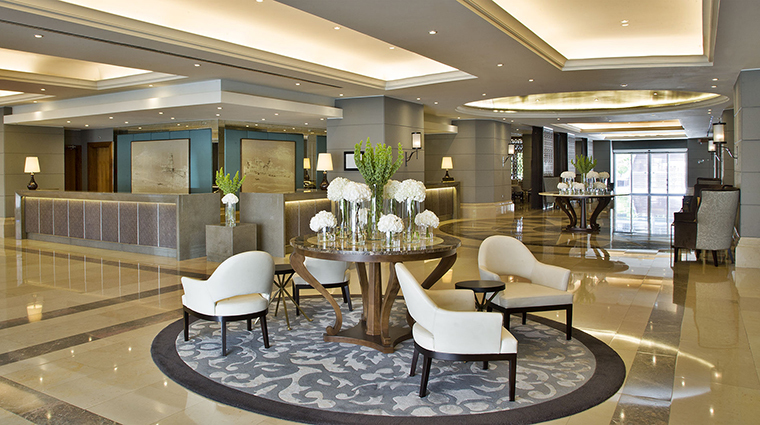 But the Corinthia provides enough amenities to cater to both leisure and business travelers. There’s a 32,000-square-foot, 13-treatment-room spa; breakfast spot Sete Colinas; and Mediterranean and international restaurant Típico. When you need a dose of sunshine, retreat to the Terrace Lounge. Amid gardens, kick back in comfortable cushioned chairs with a caipirinha and enjoy the quiet. • We like reserving Executive Club accommodations because of the loads of perks, namely VIP check-in and checkout and entrance into the top-floor Executive Club Sky Lounge. The lounge offers made-to-order omelettes, a daylong array of snacks, a copy machine and printer, two boardrooms and beautiful panoramas. • Head to Tempus Lounge in the evening to hear live piano music (Monday, Thursday, Friday) while sipping a Solera (Zacapa rum, fresh lemon juice, housemade cardamom and vanilla syrup, egg white and red Ruby Port Reserve). • Find serenity in the second-floor spa. Try the rejuvenating ESPA Body Ritual, where you will get a full exfoliation, a marine algae or mud wrap, scalp rub and then a customized aromatherapy massage. • Even if you don’t book a room or suite with Executive Club Sky Lounge access, you can pay a fee to gain entry to the 24th-floor space. 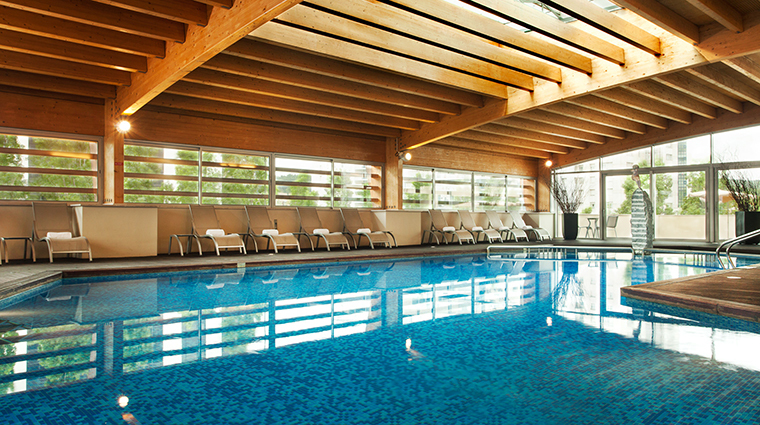 • The spa facilities include a heated indoor swimming pool, a sauna, a steam bath, ice fountains, sensory showers, a Jacuzzi and a gym. • Accommodations come with LCD HD televisions with 75-plus local and international channels, a choice of 40 films, free Wi-Fi access and tea and coffee-making facilities. 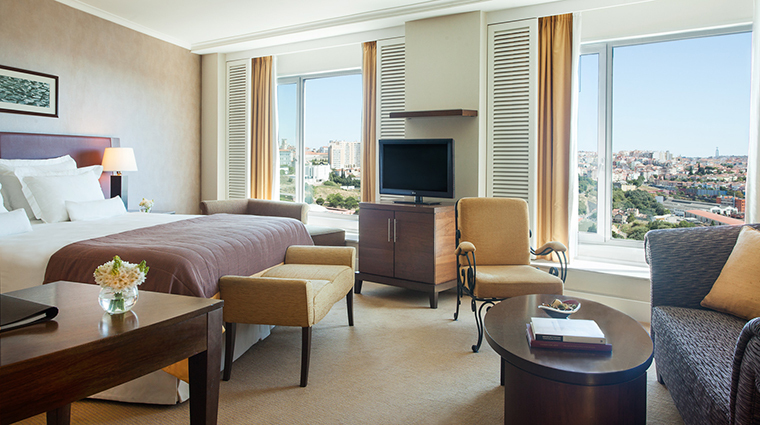 • Aside from offering more space, most suites also boast floor-to-ceiling windows that look out over Lisbon. • Contemporary décor and a subdued but sophisticated color palette give the accommodations a soothing feel. • Families will like that the Lisbon Zoo is only five minutes from the luxury hotel. The zoo is home to gorillas, chimpanzees, dolphins, elephants, giraffes and more. • Culture aficionados can take a 10-minute stroll to the Gulbenkian Museum to see its collection of modern and ancient art. • The luxury hotel is well situated for shoppers. A number of malls sit within three miles of the Corinthia. Nine-story Spanish department store El Corte Inglés is a 15-minute walk away.